The statistic shows the gender distribution of Academy Award nominees in the United States in 2018, sorted by gender. 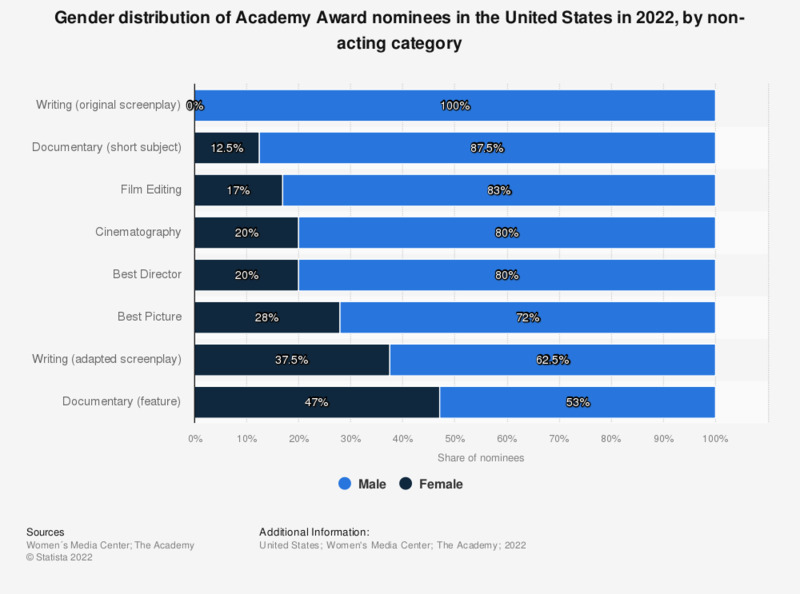 According to the source, the only instance of a higher share of women being nominated than men was in the feature documentaries category, where 53 percent of nominees were women and 47 percent were men. In 2018, all nominees for the directing, cinematography and film editing categories went to men.